Create Landing Pages in Hours, Not Weeks. Build High-Converting Landing Pages in Hours, Not Weeks. With Unbounce, you can create landing pages for your marketing campaigns quickly and easily, without help from developers. Build landing pages in hours, not weeks. Our powerful drag & drop landing page builder lets you create pages without any help from a technical team. You can easily build a high-converting landing page, and publish to the web in a single click - all without any knowledge of HTML. Use landing page templates for any campaign. 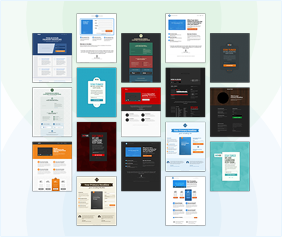 With our suite of 50 templates, your landing pages will look as good as they perform. Designed to offer complete flexibility, you can easily customize any template to suit your brand and campaign. 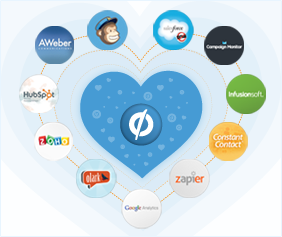 Automatically send leads from your landing pages to services like MailChimp, Salesforce, AWeber, and more. You can even bolt your pages onto your Wordpress site or blog. 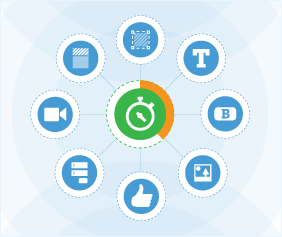 Easily track your pages in Google Analytics, KISSmetrics, and other analytics tools. Test your ideas and increase conversions. 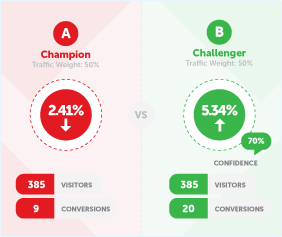 A/B testing your campaigns is easy with Unbounce. Create a variation of your landing page with a different headline, image or copy, click “publish” and collect real-time data immediately. Collaborate with your team and clients. Marketing teams can easily work together on campaigns by allowing different access for page authors and stakeholders. 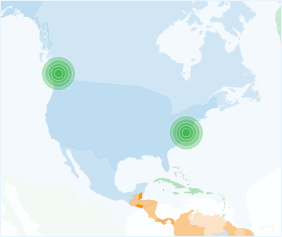 Your Unbounce account scales with your business. Agencies and consultants can create sub-accounts for their clients to simplify billing. Focus on marketing, not troubleshooting. Unbounce is 100% web-based, there is no software to install and we host your pages for you, using your own domain. We take care of the technical stuff (two data centers for failover safety, real-time incremental & nightly full database backups and a server uptime of 99.99%), and you take care of your marketing. 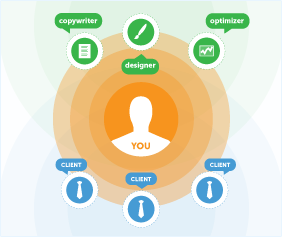 Empower your marketing team. Stop relying on I.T. If you need us, we're really really nice people. Unbounce is ultra-easy to use, but if you need help, you should be able to talk to a human. Our Customer Success team (the folks below) have a satisfaction rating of 98%. 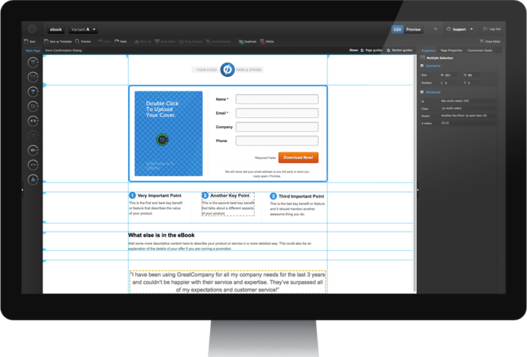 Unbounce is the landing page builder for marketers.